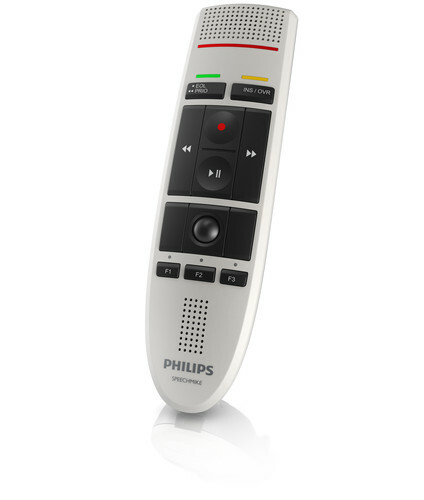 Philips SpeechMike III LFH3200 Pro Version (PushButton) The professional SpeechMike USB microphone takes stationary dictation to a new level. It delivers excellent speech recognition capabilities, an antimicrobial surface for improved hygiene and refined ergonomics for convenient operation. The quality of noise cancellation and the overall durability of the microphone has also improved. Use with Express Dictate Dictation software. Use the push buttons to manage your dictations and the light-weight device will lie comfortably in your hand even during longer dictation sessions. The scroll wheel allows you to one-handed move through forms or documents, while the dustproof optical trackball offers unparalleled navigation accuracy. 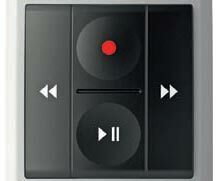 Control the playback volume directly on the SpeechMike for highest convenience. 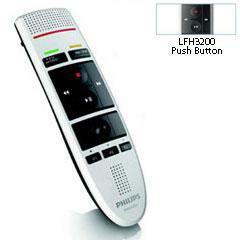 Excellent sound quality ensures crystal-clear playback, saving time during the transcription process. Simply working smarter with digital dictation The professional SpeechMike USB microphone takes stationary dictation to a new level. It delivers excellent speech recognition capabilities, an antimicrobial surface for improved hygiene and refined ergonomics for convenient operation.